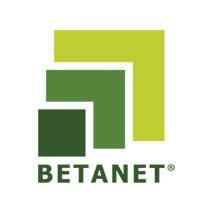 “Betanet” Co. was founded in 2007. Our mission is to promote the business interests of the company by forming literal internet-society. In the first period providing services in the sphere of data transmission and internet access, nowadays company is engaged in website creation, development, maintenance, promotion and market analysis of web technologies. “Betanet” also gives services in design and developing multifunctional local and municipal networks. The company is an owner of MediaRoll Advertising network (http://www.mediaroll.net), which offers Pre-Roll advertising in Armenia. In the working team of the company there are experienced and knowledgeable specialists, who, besides gaining the relevant education, periodically take part in scientific-practical conferences, seminars and training courses held in Armenia and foreign countries.